The wind over the last few days has been something. This morning when we walked, we saw a limb as big as my leg that had fallen next to the barn. barn because it would have knocked a hole big enough to toss a pig through. I needed some dry wood for the fire pit so this afternoon when Jilda went to work, I grabbed the chainsaw, cut the limb into short lengths and hauled it back to the house in the wheelbarrow. The sun was out, and the wind out of the north wasn't too bad, but it was cool enough to make a fire in the pit sound good. The dry hickory burned slowly and the soft crackling sound almost hypnotized me. I stepped inside and fetched my laptop. I sat for a long time and did some writing by the fire. After a while, I heard a giggling sound come around the side of the house. My five year old great nephew Jordan came over with his mom to see what we were doing. He helped me stack wood for a while before grabbing the tennis ball and playing fetch with Caillou, and his dog Lady. They had a large time and I had a great time just watching them play. Magic in those 5 year old giggles. The best. kind. I agree. joy. Those youngun's never fail to lift my spirits. Five year old ones can be so much. It's the simplest things that make us the happiest!! You speak the truth Fishducky. Sounds like a pleasant way to spend your day! I never tire of watching children play. Their carefree happiness is contagious, and you begin to feel young again just being there with them. 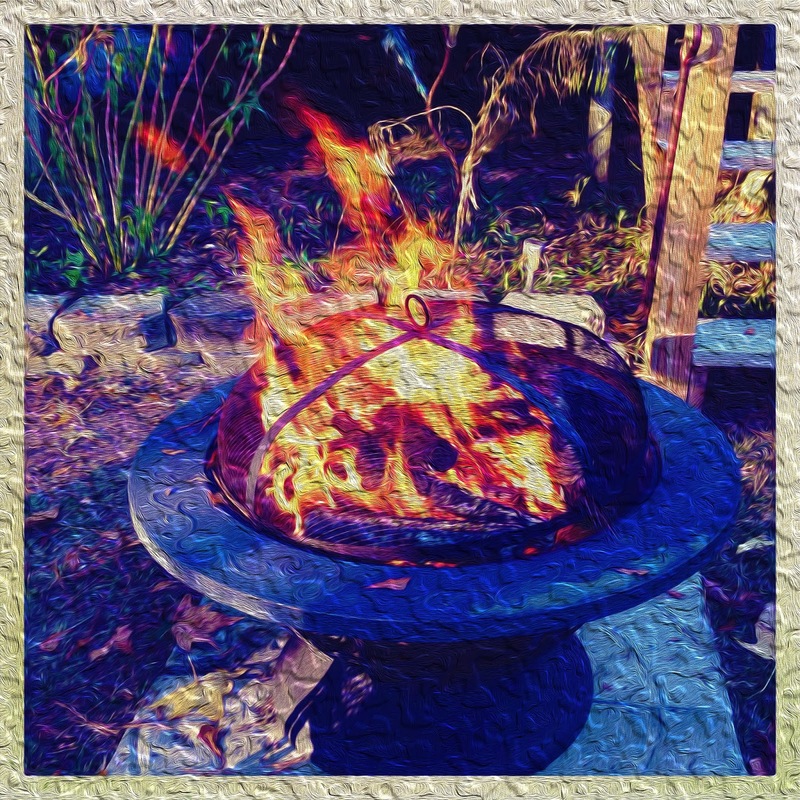 Love the photo of your fire pit. I'm glad that your great nephew came over and enjoyed it with you. Fires are multi-sensory. The money Ispent on the fire pit was well worth it. I agree Jodee. Next time I build one , Jilda wants me to invite you down. Do you mind bringing one of this apple,ceanberry, and walnut pies you wrote about yesterday. 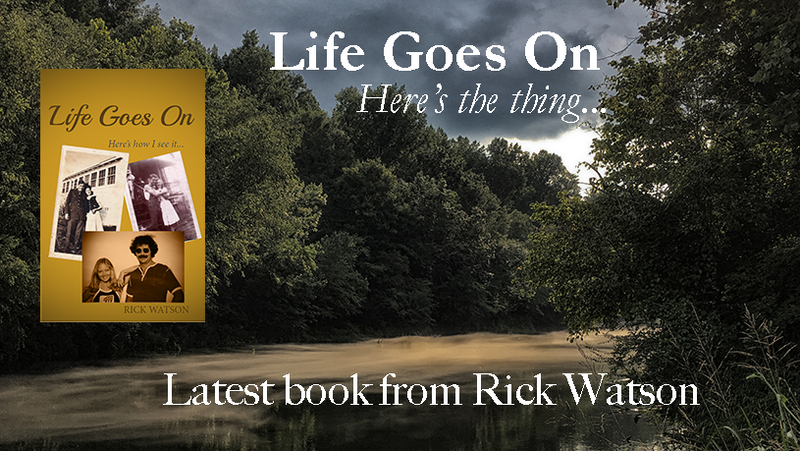 Thank you Rick for visiting my little blog! I am honored that you are following along! 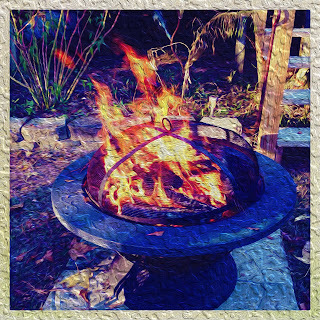 I love your perfect day...and there is nothing like a nice fire on a chilly day to cozy up to! Kids and a crackling fire always feed the soul. Sounds like you had a fantastic time. Glad the limb did not fall on the barn! Thanks so much for visiting my blog! Can't wait to read more from you! Sounds like the perfect setting in which to write and appreciate life's blessings. Thanks for pointing me over here, Rick. Firstly, thank you for visiting my site via our friend, Keith. Very kind of you to link into my site and I look forward to further positive interaction. You will now see my mug shot on your "followers" section. Although I do hate the word, followers. From concern came contentment. From contentment came inspiration. A small child's giggles warms the heart and doth, so does the fire. A very thoughtful posting. May you enjoy the rest of your weekend.